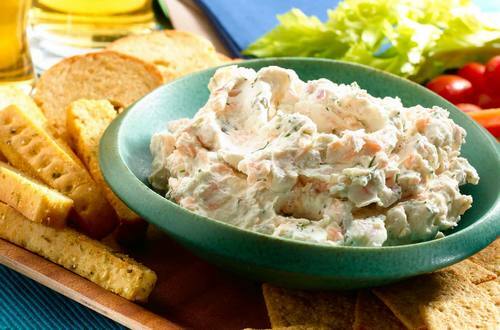 1 Combine Hellmann's® or Best Foods® Real Mayonnaise, cream cheese, dill and lemon juice in medium bowl until smooth. Gently stir in onion, capers and salmon. 2 Cover and refrigerate until ready to use. Serve, if desired, with bagel chips, crackers and/or assorted vegetables. *Can be prepared a day ahead and stored covered in refrigerator.